The American Prize is honored to announce the winners, runners-up and honorable mentions of The American Prize in Composition, 2017-18, in vocal chamber music divisions. Congratulations! 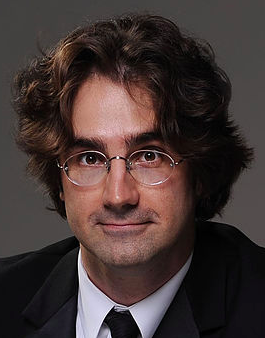 Ralf Yusuf Gawlick was born Yusuf Mustafa Zeren in Pfaffenhofen-an-der-Ilm, Germany, in 1969. He studied at the University of California, Santa Barbara, the University of Texas at Austin and the New England Conservatory of Music as well as at the Universität für Musik und darstellende Kunst Wien and the Academy of Music in Łódź, Poland. With his Romani-Kurdish ethnicity wrapped within his German-Polish-American identity, his music travels far afield by drawing inspiration from and engaging with literary, visual and musical landscapes both in time and place. This dialogue across centuries and among the arts informs much of his solo, chamber, orchestral, film and vocal music. Gawlick’s music (www.ralfgawlick.com), broadcast on NPR and available on the Musica Omnia and Capstone labels, is published by ECS Publishing, Musica Omnia Publishing and Brazinmusikanta Publications. 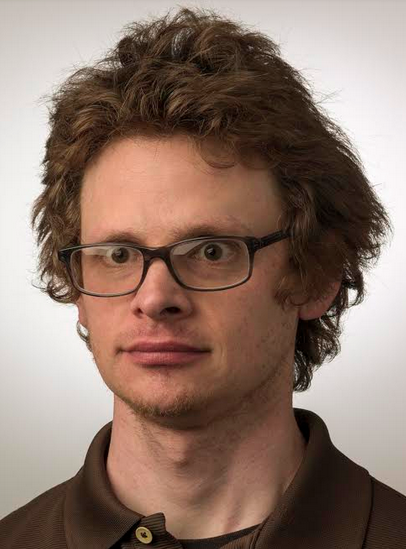 He teaches at Boston College and lives in Newton, MA, with his wife Basia and their two children. Tony Solitro is composer of concert and stage music whose recent works have been commissioned by Boston Opera Collaborative, Joseph Conyers (Assistant Principal Bass, Philadelphia Orchestra), the Institute of Contemporary Art, Philadelphia, and Network for New Music. 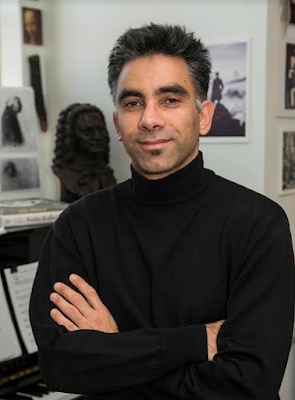 His compositions have been performed by People Inside Electronics (Los Angeles), the Litha Symphony Orchestra (Manhattan), International Opera Theater (USA/Italy), and in venues such as the Red Note New Music Festival (Illinois State University), the Royal Northern College of Music (Manchester, England), and the International Guitar Research Centre (University of Surrey, Guildford, UK). Tony has been awarded fellowships from Yaddo, VCCA, Brush Creek, Kimmel Harding Nelson, and the Brevard Music Center. 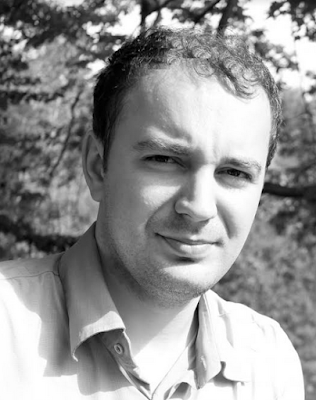 He earned his Ph.D. (University of Pennsylvania) as a recipient of the George Crumb Music Fellowship and his M.M. (Longy School of Music) on a Nadia and Lili Boulanger Scholarship. To hear recordings, see videos, and explore his composition catalogue, visit www.tonysolitro.com. Jennifer Bellor is a versatile composer who has been recognized for both her classical and jazz works with awards including The American Prize for her composition Chase the Stars, Elevate Ensemble Call for Scores winner for Moments Shared, Moments Lost, IAWM Judith Lang Zaimont prize for Skylark Lullaby, Seattle Women’s Jazz Orchestra prize for Noir, and a Downbeat Award for Midnight Swim. 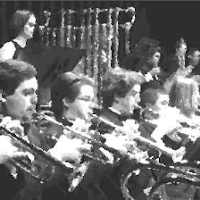 Fanfare magazine praised Bordello Nights as being a “terrific piece of big-band jazz.” Her works have been performed by Washington National Opera, Lviv Philharmonic, Las Vegas Philharmonic, Seattle Women’s Jazz Orchestra, American Composers Orchestra, and many others in the United States and abroad. Jennifer’s album Stay (2016) was featured on NewMusicBox’s Staff Picks as displaying a “wonderful demonstration of how to maintain a highly individual compositional identity without needing to take refuge in pre-post-genre musical silos.” (Frank J. Oteri). Jennifer earned a PhD in music composition at Eastman School of Music, a Master of Music degree in composition at Syracuse University, and a Bachelor of Arts degree in music at Cornell University. She is currently Visiting Lecturer at University of Nevada, Las Vegas, where she teaches courses in music composition and theory. For more information, please visit www.jenniferbellor.com. 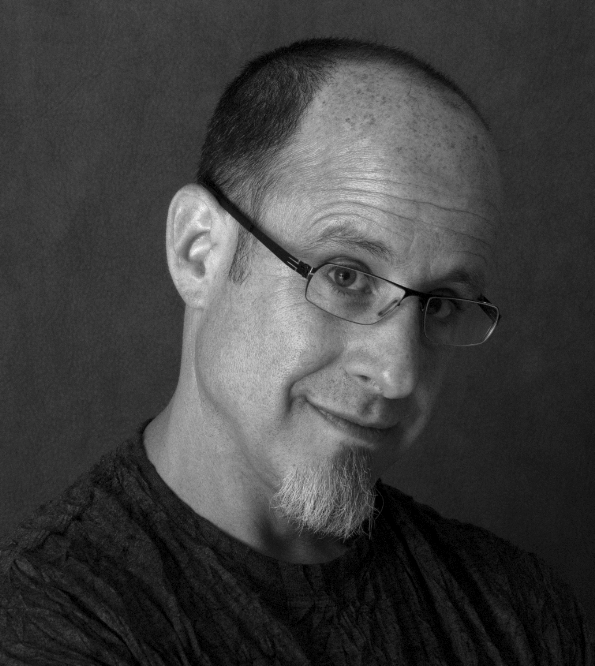 Timothy Lee Miller is an American composer, arranger and publisher writing contemporary concert music for chamber ensembles, orchestra, wind ensemble, and voice, as well as jazz and film music. He has earned degrees from the University of Tennessee, the University of Miami and Vermont College of Fine Arts. His principle composition teachers have been John Anthony Lennon, James Progris, Tamar Diesendruck, Jonathan Bailey Holland, Andy Jaffe, John Fitz Rogers and Roger Zahab. 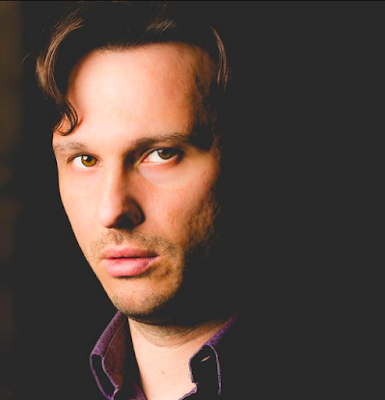 He has received numerous commissions and awards, including several ASCAP awards. 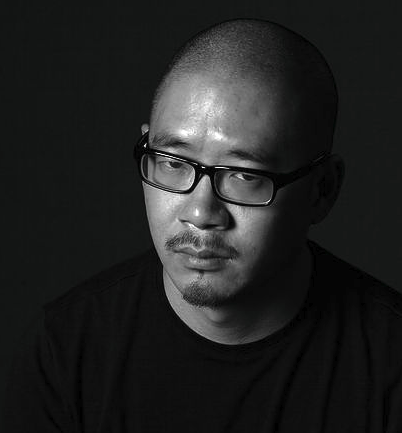 His works have been performed throughout the US and in Europe. 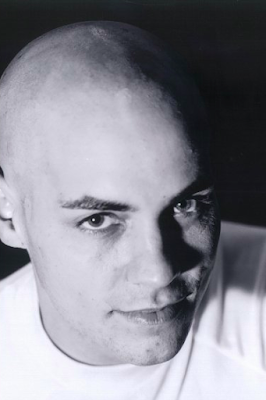 His music is recorded on ERMMedia, Navona Records, Ansonica Records and Phoenix Classics. He lives in Mahwah, New Jersey with his wife and son. 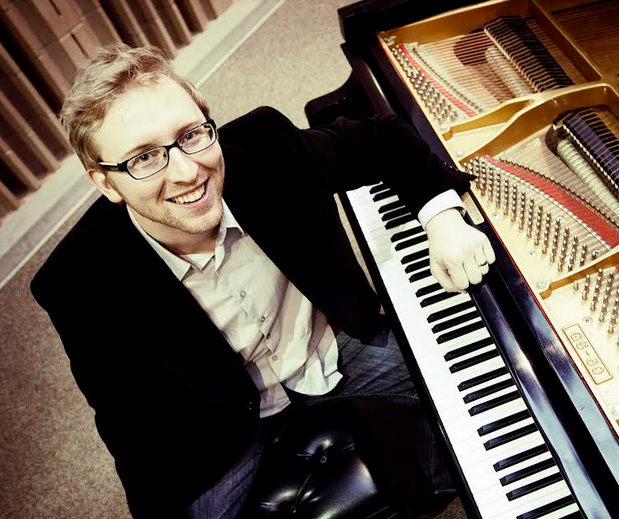 Reginald Unterseher is Music Director and Composer-in-Residence at Shalom United Church of Christ, Richland, Washington. 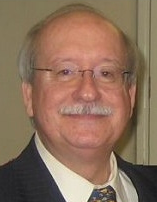 His works are published by Oxford University Press, Walton Music, and his web site, and are available at NWChoral.com. He was the Washington State Music Teacher’s Association’s “Composer of the Year” for 2013. Mr. Unterseher’s compositions are regularly performed throughout the world and have been featured at regional and national ACDA and MENC conventions in the US as well as at Carnegie Hall in New York City. He is the Repertoire & Resources Chair for Composition for the Washington State American Choral Director’s Association. 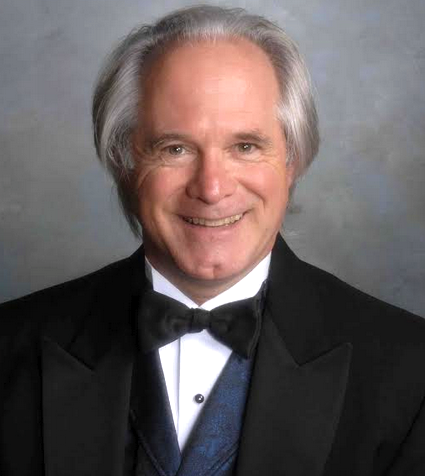 Mr. Unterseher is founder and past Chorus Master of Washington East Opera, and an active member of Male Ensemble Northwest as well as a founding member of Chor Anno. 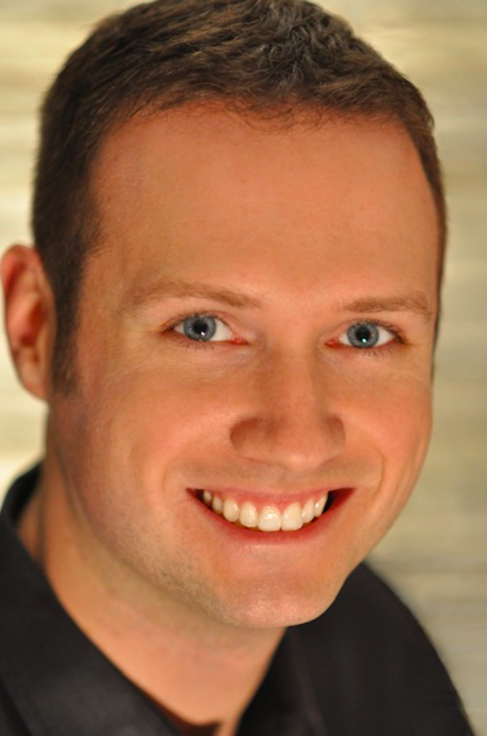 He is currently the Associate Conductor of the Mid-Columbia Mastersingers. 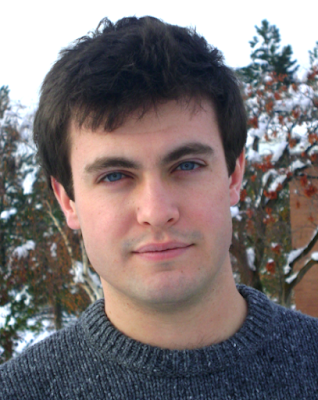 David von Kampen (b.1986) is a composer from Lincoln, Nebraska. David’s music spans a wide variety of genres and styles, including choral music, jazz, hymnody and liturgy, art song, chamber music, and musical theater. David is a six-time Downbeat Award winner in graduate-level jazz writing categories, a three-time winner of the Vancouver Chamber Choir Young Composers Competition, and was named MTNA Distinguished Composer of the Year for his song cycle "Under the Silver and Home Again." David was the recipient of an ASCAP Young Jazz Composer award, winner of the San Francisco Choral Artists New Voices Project, winner of the National Band Association’s Young Jazz Composers Competition, and received Honorable Mention in the New York Youth Symphony First Music Commissions. David has over 50 choral and instrumental compositions and arrangements published with Walton Music, Santa Barbara, G. Schirmer, Concordia Publishing House, UNC Jazz Press, MusicSpoke, and others. Jihyun Kim was born in Seoul, South Korea in 1988. 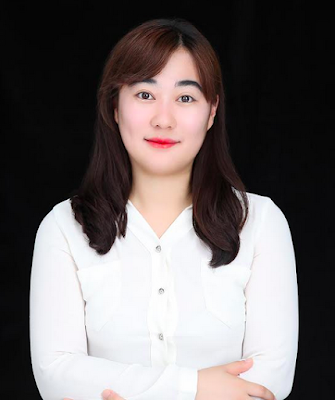 Studying Composition with Shinuh Lee, she graduated early from Seoul National University with a Bachelor of Music as valedictorian and then earned a master's degree in Composition. Later, she graduated with a Master of Music from Indiana University where she studied with Don Freund, Aaron Travers and PQ Phan. She is currently pursuing a DMA at Rice University, studying with Karim Al-Zand. Her composed pieces have been performed at the festivals in Korea such as the Korean Music Expo and the ISCM World Music Days. Her works have also been performed in the United States and Brazil, including International Symposium of New Music, the RED NOTE New Music Festival and the Midwest Composers Symposium. Additionally, she won the Libby Larsen Prize in the International Alliance for Women New Music Competition and the Merit Award in the LinYao Ji International Competition for Composition in Hong-Kong. M.O. Abbott's music has been performed by ensembles such as loadbang and Illinois Modern Ensemble, and by esteemed new music performers such as Kevin McFarland, Caleb Burhans, Martha Cluver, Tomoko Ono, Melody Chua, Victor Pons, and Yi-Wen Chen. M.O. 's work has recently been heard at festivals and conferences including Diffrazioni, Electronic Music Midwest, the SPLICE Institute, the SEAMUS National Conference, NUNC! 2, and New Music on the Point. M.O. was recently awarded the 19th Annual 21st Century Piano Commission with pianist Whitney Ashe. M.O. holds a B.M. in Theory from Eastman School of Music and a M.M. in Music Composition from University of Illinois at Urbana-Champaign, where he now pursuing a D.M.A. as the graduate teaching assistant administrator of CAMIL (Computer Assisted Music Instruction Laboratory) and CMP (Computer Music Project). His principal composition instructors include Sever Tipei, Scott A. Wyatt, Heinrich Taube. Brian Belet, and David Liptak. The American Prize is pleased to announce the four winners of the Chicago Oratorio Award for 2018. These artists have been selected to perform as soloists with the Chicago Bar Association Symphony Orchestra and CBA Chorus in Rossini's Stabat Mater on Wednesday, May 16, 2018 at 7:30pm, in St James Epsicopal Cathedral, Chicago. 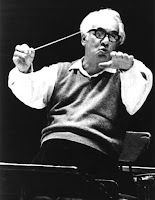 The performance will be under the baton of the orchestra's founding music director, David Katz. Stephen Blackwelder is the chorus director. Soprano Christine Steyer has distinguished herself as artist of great versatility and is the recipient of numerous performances awards. 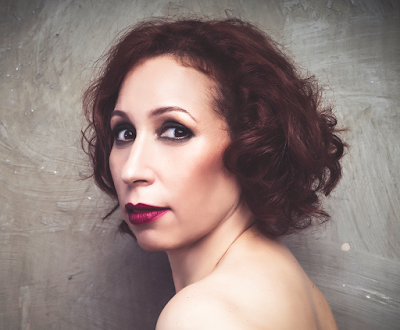 Christine received critical acclaim for her operatic portrayals of the Marschallin, Madama Butterfly and Violetta. A frequent recitalist, Christine sang concerts of Russian and American music with pianist Philip Morehead and Spanish music with classical guitarist Brandon Acker. Recently Steyer sang for the Cuban Ambassador, the American Opera Society of Chicago, Beethoven's 9th at the University of Chicago, Lady Liberty in Kurt Weill’s Johnny Johnson with Chicago Folks Operetta, Mrs. Croft in Persuasion with Chamber Opera Chicago and a recital of Schubert at Unity Temple, Oak Park. She has commissioned and premiered several new works for soprano by composer David Shenton set to contemporary American poetry. As Artistic Director of Bellissima Opera, she is heading the creation of the new opera Future Perfect with a libretto by Chicagoland youth. 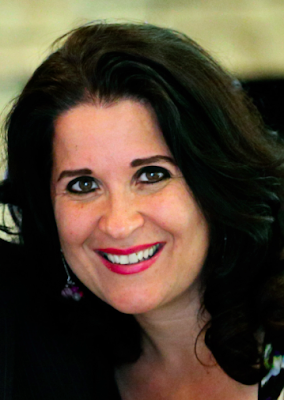 Christine is an Adjunct Professor of Voice at Concordia University in River Forest, IL. Previously based in Chicago, baritone Benjamin Howard was marked as a “standout in the huge cast” (Chicago Tribune) as Connie Rivers in the Chicago premiere of Ricky Ian Gordon’s The Grapes of Wrath at Northwestern University. Howard has sung roles with Chicago’s Main Street Opera in Serrano’s La Dolorosa and Rodrigo’s Ausencias de Dulcinea. Recent roles include Count Almaviva in Le Nozze di Figaro at Opera in the Ozarks and the title role in Don Giovanni at the University of North Texas. As a soloist, Howard most recently sang with the Abilene Philharmonic, performing Broadway love songs. This summer Howard will be a Young Artist at Utah Festival Opera, singing the roles of Rapunzel’s Prince in Into the Woods and the Sergeant in The Barber of Seville. A Los Angeles native, Howard received his BM at Northwestern and currently pursues an Artist Certificate at UNT, where he completed his MM. The American Prize is pleased to announce 2017-18 FINALIST conductors in band/wind ensemble divisions. Congratulations! "Great News! I've just been selected as a finalist in the (blank) division of The American Prize national non-profit competitions in the performing arts. Here's the link: (copy link here). The American Prize will be announcing results in my division soon. You can learn more about this prestigious national competition here: www.theamericanprize.org or follow the news on Facebook: https://www.facebook.com/pages/The-American-Prize-celebrating-American-excellence-in-the-arts/214320622728 or Twitter: https://twitter.com/americanprize "
The American Prize is pleased to announce 2017-18 FINALIST conductors in orchestral programming, The Vytautas Marijosius Memorial Award. Congratulations! "Great News! I've just been selected as a finalist in the (blank) division of The American Prize national non-profit competitions in the performing arts. Here's the link: (copy link here). The American Prize will be announcing results in my division in soon. You can learn more about this prestigious national competition here: www.theamericanprize.org or follow the news on Facebook: https://www.facebook.com/pages/The-American-Prize-celebrating-American-excellence-in-the-arts/214320622728 or Twitter: https://twitter.com/americanprize "
The American Prize is pleased to announce FINALIST bands/wind ensembles for 2017-18 in all categories. Congratulations! The American Prize is pleased to announce 2017-18 FINALIST conductors in choral divisions. Congratulations! The American Prize is honored to announce the winners, runners-up, citation recipients and honorable mentions of The American Prize in Composition, 2017-18, in choral divisions. Congratulations! Joel Bentley Thompson (b.1988) is an Atlanta composer, pianist, conductor, and educator. His latest work, Seven Last Words of the Unarmed for TTBB chorus and full orchestra, was premiered February 2017 by the University of Michigan Men’s Glee Club and Sphinx Symphony Orchestra under the direction of Dr. Eugene Rogers. 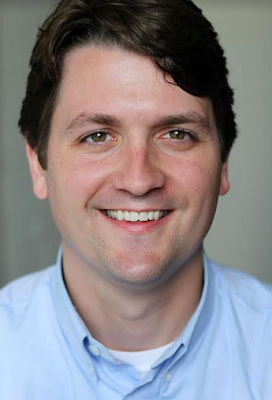 Currently the Upper School Choir Director at Holy Innocents’ Episcopal School in Atlanta, Thompson also served as Director of Choral Studies and Assistant Professor of Music at Andrew College from 2013-2015. Thompson is a proud Emory alum, graduating with a B.A. in Music in 2010, and an M.M. in Choral Conducting in 2013. His teachers include Eric Nelson, William Ransom, Laura Gordy, Richard Prior, John Anthony Lennon, Kevin Puts, Robert Aldridge, and Scott Stewart. David Lipten’s music has been described as possessing "strength and integrity...along with…deep [and]...rigorous musical lyricism.” The New York New Music Ensemble, the Chester Quartet, and the Bienen Contemporary Ensemble/Donald Nally, among others, have premiered his compositions. His string quartet, Ictus, received first prize at the Portland Chamber Music Festival. The chorus “Volti” performed and recorded Time’s Dream for chorus (E.E. Cummings, poems). His Show of Hands for piano has been performed 13 times in the US and in Europe. His first CD, Best Served Cold, was released in 2012. The New York Virtuoso Singers, Harold Rosenbaum, conductor, recorded two songs for chorus from the cycle “How To” and released them in 2016. Composer and singer Mari Esabel Valverde has been commissioned by the American Choral Directors Association, the Texas Music Educators Association, GALA Choruses, San Francisco Gay Men’s Chorus, and others. Her works are published by earthsongs, Santa Barbara Music Publishing, and Walton Music and self-published. A translator, she is fluent in French and Spanish and studies Brazilian Portuguese and Swedish. She has translated Ravel’s opera L’Enfant et les Sortilèges among other vocal works and documents from French to English. 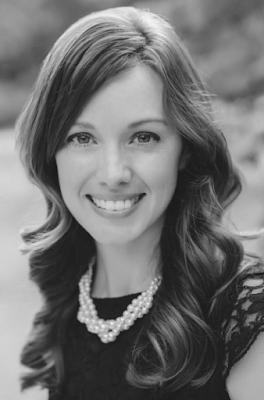 An educator, she taught voice at the high school level for four years in Texas, where she sang with the Dallas Symphony Chorus, the Dallas Chamber Choir, and Vox Humana. 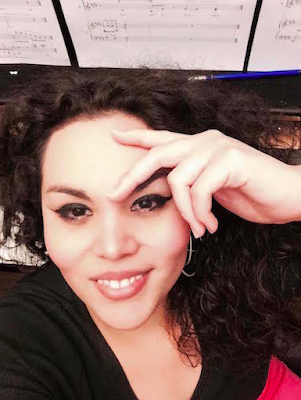 Ms. Valverde holds degrees from St. Olaf College, the European American Musical Alliance in Paris, France, and San Francisco Conservatory of Music. She is a member of ASCAP, ACDA, and the American Composers Forum. For more information, please visit MariValverde.com. 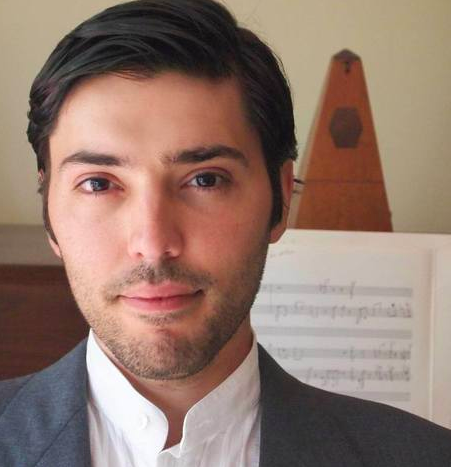 Finalist—Special Judges' Citation:"Best Use of Musical Material from Another Source"
JESSE AYERS was the winner of the inaugural American Prize for Orchestral Composition in 2011, and was named an "Honored Artist" of the American Prize in 2014. Recent honors include First Prize in the 2016 Opera Kansas Zepick Modern Opera Composition Competition, a 2014 Ohio Arts Council Individual Artist Excellence Award, the 2013 Boston Metro Opera Concert Award, the 2011 Dayton Ballet “New Music for New Dance" award, and a 2010 MacDowell Fellowship. Recent commissions include those from the Akron Symphony, Soprani Compagni, the Indiana Bandmasters Association, the Ohio Private Colleges Instrumental Conductors Association, the Wisconsin Lutheran National Honors Band, and Milligan College. His music has been performed in more than 100 U.S. cities and eight foreign countries. Charles Myricks, Jr., is currently Chief Operating and Development Officer of the National Association of the Church of God. For several years he served as Vice President and General Manager of Word Records in Nashville. In 2000, Myricks was commissioned to write the First Night Akron theme song for the city’s Millennial Celebration, and was also instrumental in the creation of the popular “Gospel Meets Symphony” concerts with the Akron Symphony Orchestra. In February 2004, he collaborated with Ohio Ballet to produce and premiere Transformation, based on the Biblical figure of Paul. The following year he expanded that work into Paul: A Musical Journey, which recounts the life of the apostle in a musical that blends gospel, rhythm-and-blues and jazz. 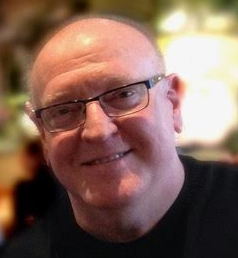 Finalist—Special Judges' Citation: "Relevant, Heartfelt and Deeply Moving"
Gerald Gurss currently serves as the artistic director for One Voice Chorus (Charlotte, NC). Mr. Gurss earned a bachelor's of music from Emporia State University and a Master's of Music from Miami University. 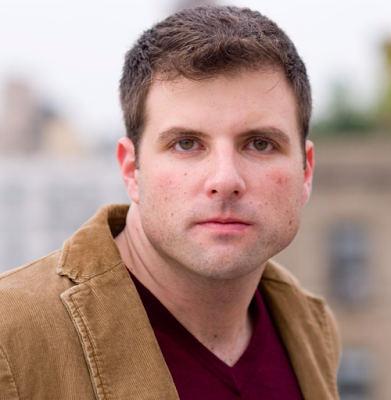 In addition to his academic achievements, he is a conductor, teacher and composer. 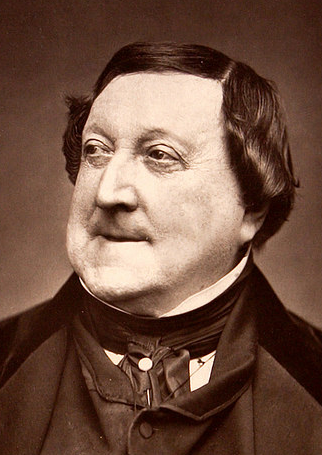 Choruses throughout the United States have performed his works. 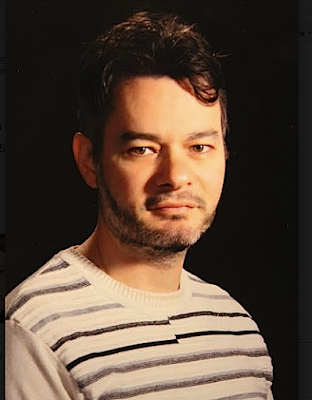 His works have been commissioned by Sine Nomine (Denver, CO), the New Jersey Gay Men’s Chorus, Providence United Methodist Church (Charlotte, NC), 1st Baptist Church of Wadesboro (NC), San Diego Gay Men’s Chorus (CA), the Turtle Creek Chorale (TX), and the Gay Men’s Chorus of Charlotte. In 2014 Gerald worked with homeless LGBT youth of from the Carolinas to produce a documentary called, HOME. With HOME, came the original work, “Jonathan’s Song,” based on the struggles of a specific youth. 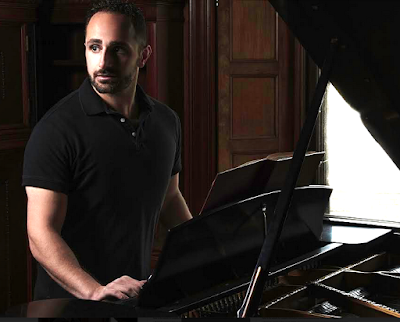 The American Prize has awarded him as a semi-finalist in choral composition (2015) and a finalist/honorable mention recipient in choral composition (2016). Gerald is a DMA candidate in choral conducting at the University of South Carolina, where he studies with Dr. Larry Wyatt and Dr. Alicia Walker. 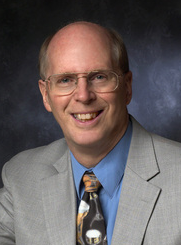 Michael Cox has recently retired, after nineteen years, as professor of Music Theory and composition at Southwestern Seminary in Fort Worth, Texas. At Southwestern Seminary, he directed the Men’s Chorus from 1993-2003 and the Southwestern Singers from 2006-2009. Prior to joining the faculty at Southwestern, Cox was an associate professor of music at Oklahoma Baptist University (1972-1989) teaching conducting, music theory and serving as director of the Bison Glee Club for thirteen years. He is currently Director of the Chancel Choir, Composer in Residence, and Director of Music Ministries at Broadway Baptist Church in Fort Worth, Texas. As an adjunct faulty member at Dallas Baptist University, he has taught orchestration, counterpoint, advanced analysis, choral arranging, composition and music theory. 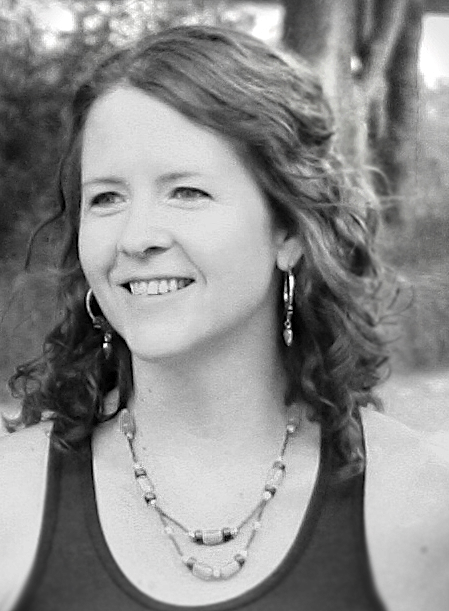 Cox received the Bachelor of Music degree with honors in piano performance from Oklahoma Baptist University, the Master of Music degree in orchestral conducting from the University of Cincinnati College-Conservatory of Music, and the Doctor of Music degree in composition from Florida State University in Tallahassee. 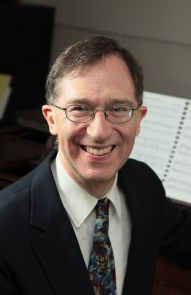 Dr. Cox has composed and published numerous sacred choral and instrumental works for use in the church. More recently, his compositional efforts have focused upon larger works for festival size choir and orchestra. His latest effort in this genre is an eight-movement work for tenor soloist, choir, and orchestra titled “Symphonic Psalms.” Dr. Cox is a member of the American Society of Composers, Authors, and Publishers and has received their Standard Award every year since 1987. Dr. Cox’s international ministry opportunities as guest composer and conductor have included trips to Seoul, Korea, Vitoria and Sao Paulo, Brazil. Joy is a Canadian-born composer residing in Seattle, Washington. She is a graduate of San Diego Christian College and composed her first chorale piece in 1999 for a senior music theory project. The piece was later performed by the college chorale at the 2000 graduation ceremony. Joy resumed her efforts in the art of choral composition in 2010 and has had both choral and instrumental pieces performed throughout the United States, Europe and Japan. She has gained recognition via ChoralNet's Silver Platter Awards, Project Encore and The American Prize. Currently Joy’s self-published works can be found through MusicSpoke (www.musicspoke.com) and sheetmusicplus.com. 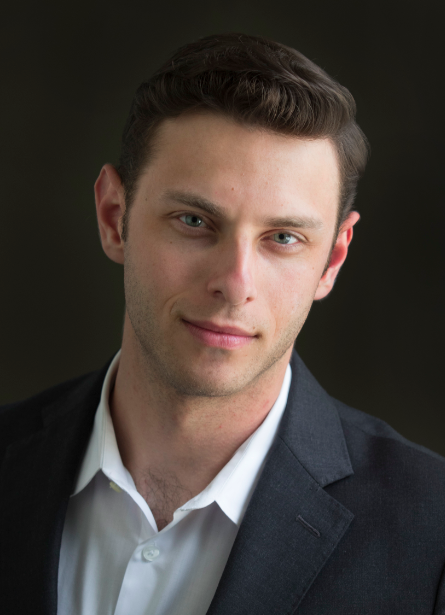 Carlo Vincetti Frizzo is pursuing a doctorate degree in choral conducting and composition at Indiana University where he has been the associate conductor for NOTUS as well as the associate chorus master for several IU Opera Theater productions. 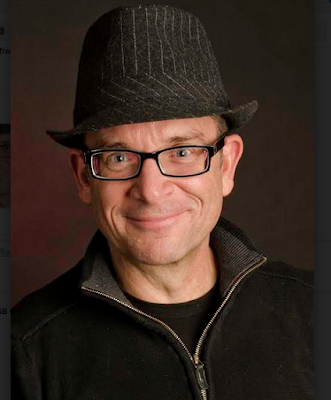 Mr. Frizzo also conducted new film music at IU’s Double Exposure and was the music director of New Voices Opera. His music has been played by Pittsburgh Symphony Orchestra at Heinz Hall and recorded on Magni Publications and New Tertian Recordings. 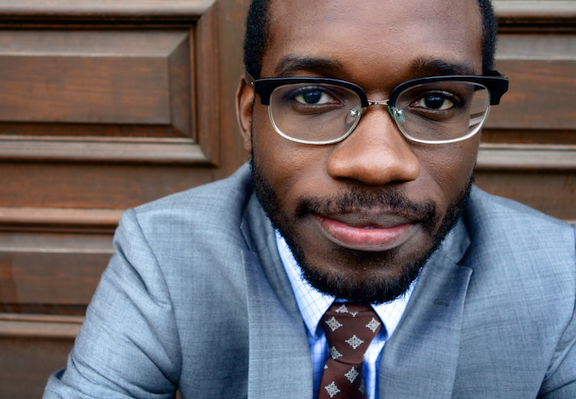 He was a winner of the MTNA National Student Composition Competition and NOTUS Choral Composition Contest. He was the 2nd place winner of the C4 2015 Commissioning Competition. He was selected to be a composition fellow at the Big Sky Choral Initiative where he worked with Donald Nally and members of The Crossing. Prior to his arrival to Indiana University, he taught theory and composition at Sam Houston State University. G. Schirmer, and Beckenhorst Press. For more information, please visit: www.elainehagenberg.com. Walter Saul holds degrees from Duke and Eastman. 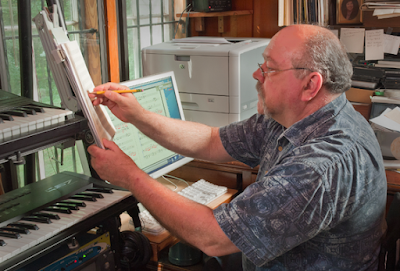 His many composition honors include 25 ASCAP awards from 1990-2015, as well as "Composer of the Year" commissions from North Carolina Music Teachers Association (1986) and Oregon Music Teachers Association (1990). Performances of his works have occurred in 24 states and five nations, including Carnegie Hall and Paris. He has released six CD’s of his works: Out of Darkness Into His Marvelous Light (1998), From Alpha to Omega (2002), Songs of Requited Love (2007), Walter Saul: Sonatas and Meditations for Piano (2014), Kiev 2014: Orchestra Music by Walter Saul (2015), and Quiltings (CD and DVD, 2015). His music appears also on a 7th CD, Les flûtes enchantées, and on the Ring of Fire 2001 DVD. His website is http://www.waltersaul.com. His mission is to create through music windows of light that reveal and glorify the suffering and risen Jesus Christ. Xingzimin Pan’s music has been performed in the United States, Germany, France, Italy, Finland, Hungary, Australia and China. He is the award recipient of the 4th China-ASEAN Music Week Composition Competition, the 1st FNMC Composition Contest and 2nd IFCM International Composition Competition. Pan’s works have been published by Fudan University Publishing House and Schott Music. As one of the most emerging choral music composers in China, Pan has collaborated with many outstanding international choirs include Sydney Chamber Choir, Echo Chamber Singers (where he serves as Composer-in-Residence) and Shanghai Spring Children’s Choir. His representative works Poem I (IFCM Competition winning composition), Everlasting Love (Fudan University the 110th Anniversary Celebration commission), Dandelion (Echo Chamber Singers commission) and Wuxi Sights (Wuxi Children’s Palace Choir commission) received strong reviews from both critics and audiences. Pan is now studying for the Ph.D degree in Composition at the University of Utah. 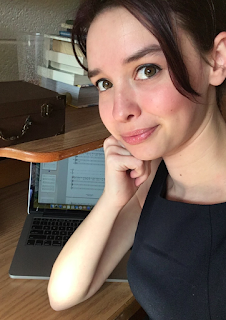 Marlene Miller is an aspiring young composer. She was born in North Carolina and raised in Pennsylvania. In college, she joined the NOW Music Society and has since become the secretary of the society. Ms. Miller has played a crucial role in uniting the various departments in the West Chester School of Arts and Humanities through collaboration in her position as secretary. Previously, she received an honorable mention in the American Prize composition competition. She was also awarded the Roz Patton Scholarship for composition in voice from West Chester University. She is proud of the pieces she’s composed so far and desires to continue to use her art to make social change in a politically charged society. Marlene is dual majoring in Music Theory and Composition and English Composition at West Chester University. Nicolas Chuaqui creates works that draw on the musical traditions, both new and old, that exist around us. His recent compositions have been heard at several prominent American festivals, including June in Buffalo (2016), The Florida Electroacoustic Student Festival (2015), Midwest Composers' Symposium (2015), The NYC Electroacoustic Music Festival (2014), and The Deer Valley Festival (2014). He has also recently had his first opera, The Forest of Dreams, premiered in a fully-staged production by New Voices Opera (Indiana; 2016). Originally from Salt Lake City, Utah, where he was trained as a chorister and pianist, he moved east for undergraduate study at Dartmouth College, and then split the different between those two locations, completing Master's work at Indiana. In college he developed not only as a composer, but also as a performer, leading his vocal group to a second-place finish on Season 3 of NBC's "The Sing-Off."